Do we have the courage to live with failure in the classroom? When introducing new technologies and using them in the classroom, many teachers get unbelievably frustrated when "things don't work" or when their plans haven't been met. Yet these "mistakes" and "failures" can be very powerful learning moments and can contribute to overall success when the teacher takes the long-term view. Reflective questioning, that involves the whole class and includes the teacher as a partner in the learning, can be a very powerful tool. "What will I need to do better next time?" "What do we need to put in place to have a better chance at success?" build the right culture that looks at learning as a process and a journey, rather than an outcome or a product. Michael Jordan was incredibly driven as a basketballer and looked at his failures as golden opportunities for learning and for improvement. Our students should be encouraged to feel the same. Taking the risk of making the game-winning shot can lead to failure, for sure. But taking that risk can also lead to incredible success. Our students deserve the support to be allowed to take risks in their learning. The personal computer was implemented with the mantra of "the paperless office." Accountants and finance officers print out journals and ledgers and put them in folders together with invoices, statements and receipts. CEOs get their PAs to print out briefing papers, documents, agendas, email communications, memos and more. Teachers get students to print out their reports, assignments and essays. Presenters even distribute printed versions of their PowerPoint presentations. Have we ever been more wedded to the printed word? Not even the exhortations of "think before you print out this email" can stop the wholesale wastage of paper and of printer consumables. 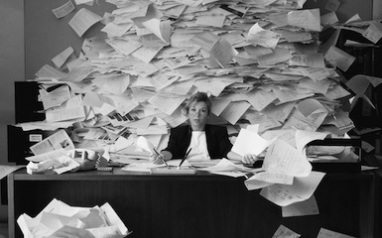 We are however on the cusp of a revolution that may well deliver on the promise of the paperless office. The modern smartphone and the iPad can actually transform document delivery, note taking and meeting preparation. For the first time it is easier to arrive at a meeting with all the documents and the ability to take notes, establish reminders, annotate documents and record action items electronically and without the use if paper. There are so many solutions to a paperless workflow that it's easy to find the one that's right for you. Have a look at the very helpful app, App Advice, which can help you choose the right solution for you. I always schedule everything in Calendar. all my appointments synchronise across all me devices. Whether I use my iPhone, my iPad or may Mac, I've got everything I need to turn up at the right place and on time. I use the Notes feature in Calendar to remind me of the names of other people who will be at them meeting and some jottings regarding the purpose of the meeting or its agenda. I use the Reminders app on iPhone iPad and Mac OS to schedule my tasks and to-dos. I set reminders based on when I get home, when I get to a meeting, when I get to the office; or more frequently, on a particular day and time. One of the last pieces of paper to disappear from my desk was my Daily To-Do List. Now, this list is automated, organised and with me wherever I am. I even dictate tasks into my phone while I'm on the run and while I think of them. Dropbox or Google Drive, once again synchronised across all devices, is what I use for ensuring I have all the documents that have been prepared for the meeting. These can stay as Microsoft Office documents if I like. I use the CloudOn app, which links to Google Drive and Dropbox, as a method of editing these documents in Microsoft Office format. I use Evernote for taking notes while at meetings. Evernote is my workhorse note-taking application. It automatically suggests a note title from my calendar appointment or location and can allow me to write notes, record audio, clip from the web and keep all my notes sorted, organised and across all devices. I can amend notes taken on one platform on all my devices and have them available whenever I need them, on whatever device is most appropriate for the situation. And finally, to stop the annoying number of sticky notes that I used to have everywhere, I now use the dictation feature to quickly record a reminder to myself or to take down a note before my untidy brain completely forgets it. in the garage, where I still use paper to jot down notes, shopping lists, cutting lists and drawings. There's something about using greasy and filthy hands on an iPad that is stopping me so far. Already my workshop manuals are in pdf format on my iPad, so I can see that even my garage habits are due for revolutionary change. If a grandpa like me can go paperless, with the right will, determination and commitment, I'm sure you can, too. 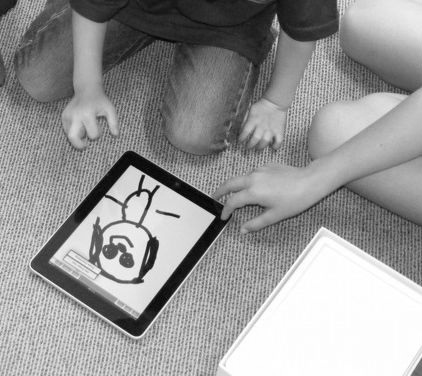 Many schools have recently become fascinated by the iPad. There is no doubt that the iPad is an amazing device. I believe that it is part of a revolution that will prove to be even greater than the revolution that was started with the invention of the personal computer. But I wonder whether schools are succumbing to "shiny-object syndrome" in their fascination. Or whether, with the iPad, schools realise they can place a personal device in the hands of every student at a fraction of the cost of a notebook computer. If all our teachers are doing is replacing textbooks with .pdfs and replacing worksheets with colourful tutorial apps, then we are selling our students short. Parents, in the end, will feel disillusioned, as they fund every investment that school systems and governments make. They want to see value in the money they have spent. If we are to use the iPad in our schools it must be because with this tool we can fundamentally change the dynamics of learning for the better; and because this tool makes it so much easier to do this than any of the other tools we can use. If we can answer the question "Why?" with clarity and with a sense of purpose, then we'll be on the right track. "Right now, we build minds the same way we build cars"
The school day has many characteristics in common with the production-line model of manufacturing. The curriculum is broken up into "departments" (subjects) and the "products" (students) move from station to station to undergo elements of the production process. At each stage, "highly-skilled artisans" (teachers) provide input, make adjustments and assess for compliance against quality standards. This process is scheduled according to a well-organised, structured and controlled timetable. If some part of the process is missed or omitted, this will need to be made up later, usually at the end of the day, or when the production line has shut down for the week. "Products" (students) are arranged according to their date of manufacture (class, year level) and are kept together in groups associated with this date and "model class" (house groups, streams, forms). They often wear a badge and are clothed in a house style, so that they can be seen to belong to the same "brand." Is it any wonder that the name we use in English for a bunch of fish who all appear the same and are all swimming in the same direction, is the same word we use for an educational institution? We are at the crossroads. Although personal computers have promised the transformation of education for quite a while, and much progress has been made, many classrooms are essentially the same as they were forty or fifty years ago. 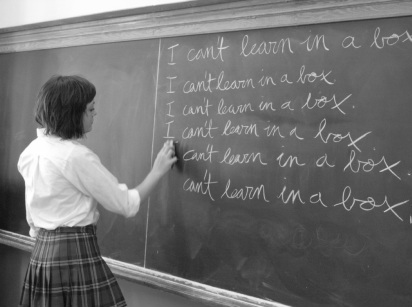 I believe that one reason is because the teacher is "in control." What I mean is that, as the moderator and the facilitator of learning, the teacher is in a position of power in the classroom and that the classroom setting, its furniture and furnishings, its layout and even the activities that take place, are all in the teacher's control. This is not a bad thing as such. We would want our teachers to be moderators and leaders of the learning environment. It's just that so many of these classrooms are teacher-centred rather than student-centred. And furthermore, when they appear as if they are student-focussed, they look like an adult's interpretation of a student-centred space. 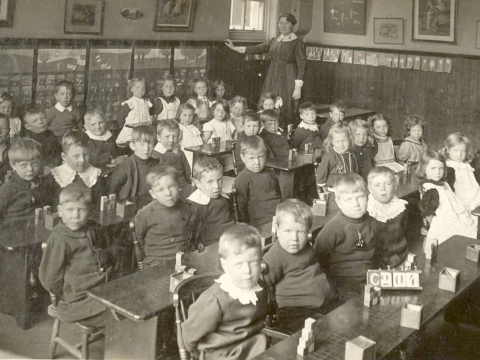 Another reason is that, until now, the classroom and the teacher have been the centre of attention for many students. If you wanted to learn, if you wanted access to information and knowledge, the classroom was the place to be. The teacher held the keys and your relationship with the teacher became a crucial ingredient in the student's success or failure. Students now have ubiquitous access to knowledge and information. They participate in extensive online social networks. Teachers no longer hold all the keys. Some of them mistrust the new online world. When students come to school, they enter rooms that look the same as they did before they were born. Things have changed. The classroom must change. Teaching must change. I strongly believe that technology has the power to transform teaching and learning. This blog is my ongoing reflection on how we can best make this happen.